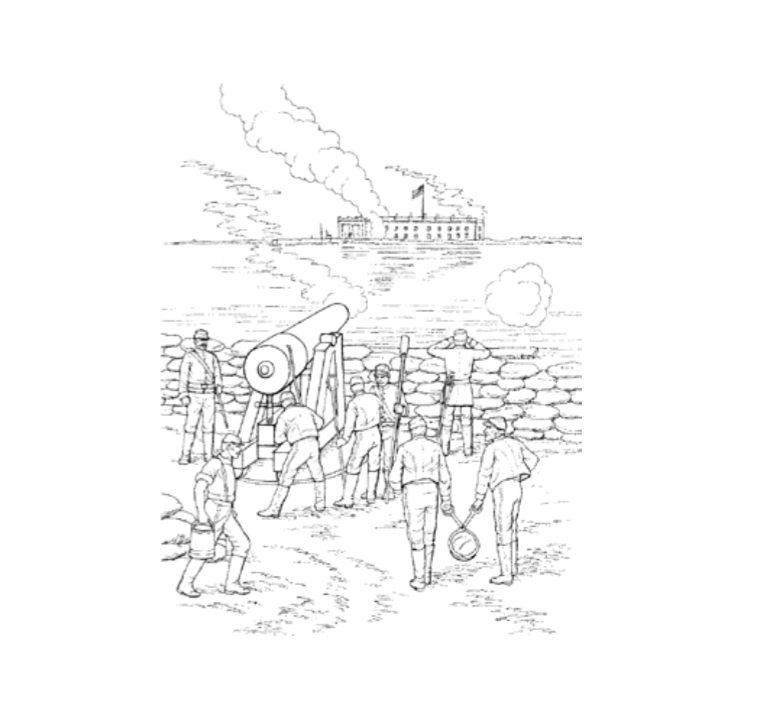 Have students try these activities to expand their knowledge and interest in the Civil War. Have students draw or trace a map of the United States and put in the name of each state that existed at the time of the Civil War. Students can then color the states that were part of the Union gray and the states in the Confederacy blue. Several Civil War songs are still sung today; for instance, “When Johnny Comes Marching Home Again.” Have students research songs of the Civil War period and then, as a group and with the aid of a music teacher if possible, have them sing the songs for the class. The topic Ordinary Heroes contains this statement: “The Civil War was the first war to be fully covered by the press. Reporters risked their lives to get firsthand accounts of battles.” Have students imagine they are reporters interviewing a Civil War soldier. They should write approximately 10 questions they would like to ask the soldier. Students should exchange their papers with another student and answer the questions. Have students design their own flags that the North and the South could have used during the Civil War. Remind them that flags often use symbols, such as stars, to represent states. Students should be able to explain any symbols they use in their flags. Students can work either individually or in groups for this project. Have students do some math problems with the birth and death dates of various Civil War heroes, as shown in Civil War Notables. For example, how old was Abraham Lincoln when he died? How old was Jefferson Davis? For how many years after the war ended did Jefferson Davis live? Have students imagine they are soldiers in the Civil War. They should write a letter home telling about various aspects of the war: the training, the battles, the camp, food, conditions, and so on. To help students understand the magnitude of Civil War casualties, have students research the numbers of soldiers who fought and the numbers who were killed in various wars. Students should make a chart comparing the number of U.S. participants and deaths in the Civil War, World War I, World War II, the Korean War, the Vietnam War, and in any other war they wish. Have students use the information in the chart to figure out the percent of combatants killed in each war. Have students choose a Civil War figure to research. A few possibilities: Harriet Tubman, Harriet Beecher Stowe, Robert E. Lee, Dred Scott, Jefferson Davis, and “Stonewall” Jackson. If possible and appropriate, students might read a biography of the person before writing a short report giving details about the person’s life.